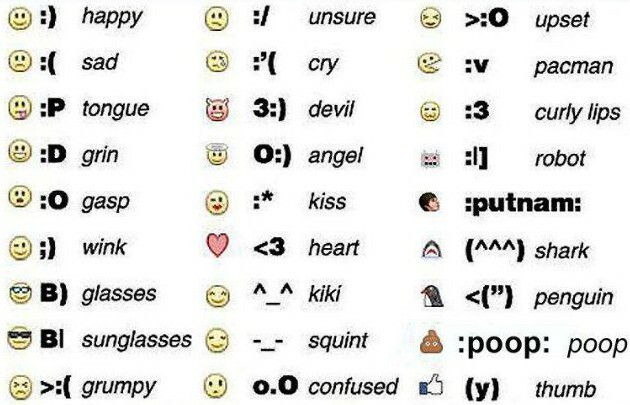 Believe it or not, emoticons (or Smileys) have been in use since the 19th century to punctuate written words with graphics simulated by characters. An historical newspaper specialist found what appears to be a sideways winking smiley face embedded in The New York Times copy of an Abraham Lincoln speech written in 1862 “(applause and laughter ;)”;. There is some debate as to whether it is a typo, a legitimate punctuation construct, or an emoticon. Click the smiley face at the bottom of the update text box. A drop down menu appears where you can select your mood from an assortment of emoticons. You can also share what you’re watching on TV, eating, drinking and more. Look for the appropriate icon and search the menu for your matching activity. Thanks Elizabeth! Sorry for the response time – I’m just getting used to how this all works!